Having developed the Securus system, Trondheim based Aptomar has set a new standard in maritime safety, as well as environmental monitoring, management and real-time data sharing between personnel at sea and those on land. By incorporating user-friendly design principals, EGGS has helped establish Aptomar as a world leader in its field. Aptomar’s systems are used for the detection and removal of oil spillage, search and rescue operations, documentation, and general safety at sea. Therefore in many cases the user must be able to act swiftly and decisively based on accurate information. Unlike most other systems on a ship’s bridge, which require extensive training, this project specifically focused on designing a user interface that was immediately understandable and accessible, requiring minimal training whilst still allowing for advanced use when necessary. 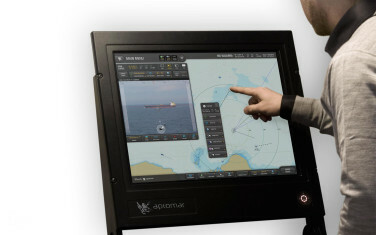 The SECurus system is a unique pointing unit (a stabilised long-range spotlight, camera and IR), a bridge console and computer rack that enables personnel on ships, platforms, aircraft and land to communicate and share information in an emergency, technology that was previously unavailable in the industry. With stylised touch screen applications it is easy for the user to analyse, understand and share data and awareness. By allowing multiple vessels to see the same image, it ensures they can assess any situation to the best of their abilities. The user can also share further information via their own applications for tablets and browsers to a third party. 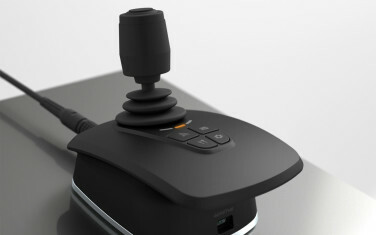 EGGS has not only established the user interface and interaction design on all digital platforms, but also the industrial design of the pointing device and joystick, along with training materials and services. EGGS has been the principal supplier of design solutions for Aptomar since the company was founded in 2005, not only defining a new product, but also defining a new start-up company and offshore innovation. Being user-friendly, attractive and not technology driven was the main objective for all concerned from the outset. We visualised as many different scenarios as we could and ran workshops in order to gain a better overview of how strategic design could help to ease and enhance operational use. To make sure we were on the right track we ran tests with shipmasters, ferry officers and other relevant personnel. 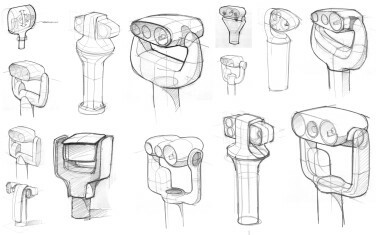 Every design step was taken with the user in mind. Today Aptomar is a global company with operations in the North Sea, The Gulf of Mexico and Brazil, and has an annual turnover of 100 million NOK plus. The SECurus system is now mandatory for all NOFO (Norwegian Clean Seas Association for Operating Companies) vessels operating on the Norwegian continental shelf. In 2011 the SECurus user interface won the Award for Design Excellence, presented by The Norwegian Design Council.